When seeking a professional power washing company to take care of your exterior’s needs, please call Cavalier Window Cleaning & Power Washing. 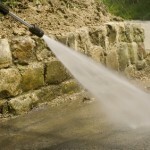 We offer lots of great power washing services. From your basement floors to the vinyl siding on your home, we can take care of it all. Your exterior will remain clean whenever you utilize our services. 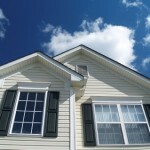 For years we have been the choice for exterior siding vinyl cleaning. No matter what type of material that you have on the outside of your home; let us take care of your needs and start prepping for the summer. Call today to get rates on a service that will definitely put a smile on your faces. It can be very frustrating to look at our flat exterior services without wondering how they can get cleaned without breaking or cracking them. 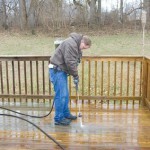 Dirt, mold and oil deposit on flat surfaces concrete can easily be taken off through power washing in Charlottesville. Call to get a quote for your flat surfaces while you can. There is one contractor that you can trust in order to get your interior surface cleaned and that’s Cavalier Window Cleaning & Power Washing. 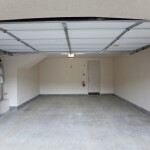 Since 2001, we have been providing our customers with interior surface garage floor power washing because we understand that some homeowners like to keep up with the appearance of their garages. Decks are very popular in the area as they come in all shapes and sizes. These freestanding outdoor additions can provide the family with what they need in order to enjoy another summer. But, when it becomes dirty, and your family no longer feels the same way they had about the condition of it; it’s time to call in the power washing professionals. Weather is one of the worst things to happen to concrete. As Mother Nature unleashes her wrath each year, whether it’s snow, rain, hail or heavy winds, can really damage your concrete. Sealer can be utilized in or to stop this problem. 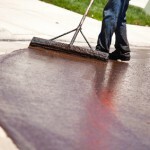 Concrete sealing can and will prevent major damages from occurring. If you are in the market for power washing services; there is only one company that you can trust and that’s Cavalier Window Cleaning & Power Washing. You’ll see the difference between yours and your neighbor’s exterior, deck, driveways and other exterior additions. 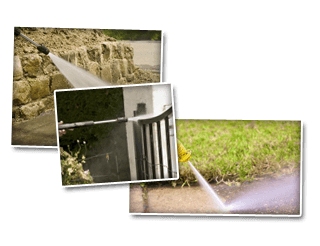 If you are looking for Power Washing Services then please call 434-823-1737 or 540-910-1434 or complete our online request form.